Outdoor living in the serine countryside provides relaxation at a spiritual level. High altitude village experience will allow visitor’s to understand the socio-dynamics of India, and first hand experience of their problems. Cost: 7999/- (Ex-Delhi) Discounts available for groups. Mumbai: Inclusive of Travel only for groups of 5 or more. Hyderabad: Inclusive of Travel only for groups of 5 or more. Chennai: Participants must drop down to Bangalore for onward journey. Kolkata: Inclusive of Travel only for groups of 5 or more. 1st week of April on ward. 4 Days 3 Nights- Inclusive of mentioned activities, accept than Para gliding joy ride ,ATV ride, Zip line, horse riding, zorbing ball , rocket ejector , rope way ride.
. Primary Arrangement- Deluxe Tents with common toilet and bathrooms.
. Plan-API(morning tea/Break fast/ lunch/tea/coffee + cookies +Dinner). Cost Inclusive of: Pick up & drop from manali, porter ,mules, guide ,cook, camping equipment ,transport from camp to start point and back to camp, all taxes. 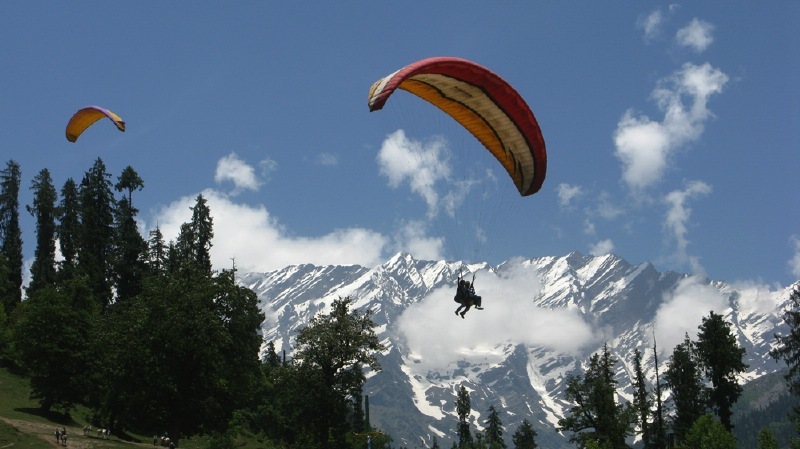 Sight seeing in solang valley(it’s a adventure hub of HP, you can participate in Para gliding joy ride ,ATV ride, Zip line, horse riding, zorbing ball , rocket ejector, ropeway ride. activities not included in package)ancient Shiva temple and Nag temple. Enjoy scenic beauty and play with snow.